Offering you a complete choice of products which include roller and conveyor chains sprocket and double strand sprocket. 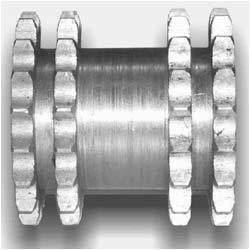 In order to fulfill the ever changing demands of our clients, we have been engaged in offering a quality range of Roller And Conveyor Chains Sprocket. 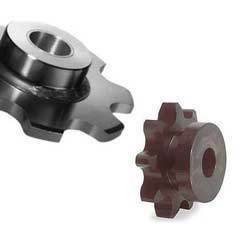 All the offered sprockets are machined according to high precision tooth profile to ensure high efficiency in chain driving. Induction or flame hardened teeth are provided in these sprockets that can be availed by clients at reasonable prices. We are the stalwarts in the domain of manufacturing and supplying a vast array of Double Strand Sprockets. All these products are highly demanded for roller conveyor applications. These sprockets are commonly used in rolling mills and steel plants. Offered products are available with or without flame hardened tooth as required. Looking for Chains Sprocket ?